I am very pleased to report that the new EGS Pro Tremolo is now available for worldwide sales, having resolved the patent licensing matter for the US Market. 6-string Dual Action and 7-string tremolos in black are available for immediate shipping. For more information, see the ordering page. 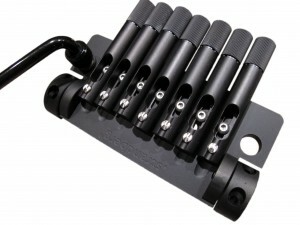 For more information about the EGS Pro Tremolo, please download the brochure from the downloads page. 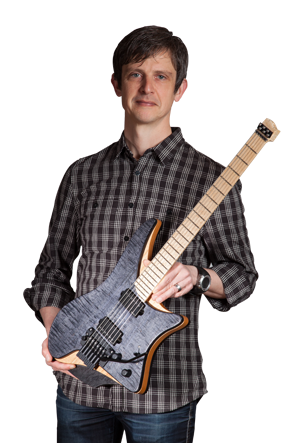 Mr Strandberg, it would be cool to see your bearing trem in action by some heavy metal players (whatever:technical deathmetal,instrumental experimental metal, flashy AOR solos…) I need to see some whammy abuse on the tube or on daily!! Any chance of an EGS Pro Tremolo for fanned frets being made available? It would be great to see another type on the market instead of the Kahlers. Actually, there is a design for one, but I haven’t been able to prototype it yet. Hopefully soon!